Academic race accelerates kids math and reading skills. LELAND, NORTH CAROLINA: February 23, 2011 – Pit crews, qualifying races, and big trophies for the winners; no, it’s not stock car racing, it’s FASTAR – an exciting academic competition for students at The Roger Bacon Academy. Each year, nearly 200 charter school student-racers and their crew chiefs – parents – accept the challenge of tuning their reading and math skills, qualifying for the big race event, and competing for trophies and gold medals while their classmates cheer them on to the finish line! “This year will mark the seventh annual FASTAR race series at Charter Day School and the second year for our school in Whiteville, Columbus Charter School,” said Superintendent Mark Cramer. “Then we will take the top winners from each school and have a Grand Cup series to determine the overall winners,” Cramer added. FASTAR stands for Fluent Academic Skills Tournament for Arithmetic and Reading. Modeled upon auto racing, this extra-curricular competition will take place on March 8, 2011 at Charter Day School in Leland and on March 10, 2011 at Columbus Charter School in Whiteville both beginning at 9 a.m. Elementary students work throughout the school year to increase fluency and become nearly automatic in reading and in math facts. 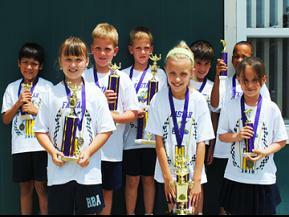 FASTAR offers a fun and rewarding experience for students in setting higher performance goals. When a student becomes fluent in a skill, he benefits in numerous ways: increased endurance, longer retention, broader application, and faster problem solving with better immunity from distractions. 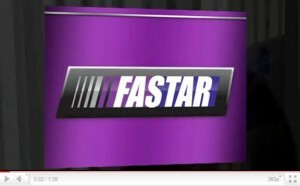 The FASTAR race series consists of four race courses geared towards specific grade levels from Kindergarten through Fifth Grade, and skills including reading and math facts. The current race courses include: the Charter Day 140 for grade K, the Teach Well 220 for 1st and 2nd, the Booster Club 350 for 3rd and 4th, and the Bacon 400 for 5th grade. Each race has a course layout with several straight-aways. For example, the Booster Club 350 consists of a 260-word reading passage that leads into three turns of math facts arranged in 30 problems each for addition, subtraction, and multiplication. The racers all begin together when the green flag drops and must cover all items in order. The first racer to finish all items in the entire course with the fewest errors gets the black-and-white checkered flag. As in auto racing, each child has a sponsor, crew chief, pit crew, and mechanic to help them race to success in weekly tune-ups at the “garage” classroom after school. The volunteers can be anyone who wants to provide support and encouragement to help each racer meet the qualifying speed and accuracy rates set forth for their competition level. Every student who qualifies for an event will have already reached a significant milestone in achieving mastery of basic academic skills. “I had gotten a little rusty and lazy on my math facts and helping my child during the tune-ups actually got me back in better shape with my basic arithmetic,” stated one mother after a tune-up session. FASTAR was conceived and developed by The Roger Bacon Academy to promote the skills of high academic achievement among all school children. Just as track-and-field competition is an exciting venue that promotes physical fitness, FASTAR promotes academic fitness. The competition is funded by RBA, parents, and sponsors. New sponsors are always welcome. 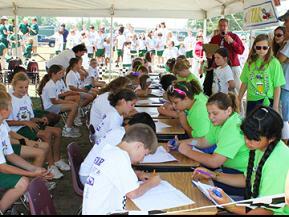 Please call Brad Barth at 910.655.3600 x 224 to join a racing team that is helping a child become an academic Fast Star! The Roger Bacon Academy’s Charter Day School is a tuition-free, open enrollment K-8 public school in southeastern North Carolina. Since 2000, Charter Day School has focused on quality education and is a premier performance-driven year round school. Widely recognized as a compelling choice to conventional public education the school has built a reputation for retaining dedicated and highly qualified teachers that give students a strong and proven academic foundation. Charter Day School has received numerous awards, including the designation of being a Top-25 School for Academic Growth and of Excellence in the state of North Carolina.